Q. My house has a 10" poured concrete foundation. There is a small hole (8" x 12")in the foundation that was used as a vent into a cold storage room. The hole is about 12" below grade and had a wooden "snorkel" that poked above grade to allow fresh air to enter the cold storage room. Needless to say the wood rotted and now I have water seeping through the hole. I want to plug the hole with concrete. I've already dug to expose the hole and removed the vent snorkel. The concrete is clean and in good condition. I have a piece of 1/2" plywood bolted over the hole on the inside wall. I've built a small form for the outside wall that will allow me to pour concrete level with the top of the hole - not yet attached. 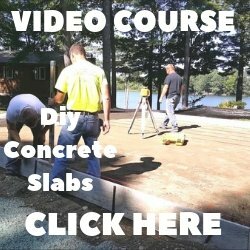 What type of concrete should I use to fill the hole - or is there some material other than concrete that I should use? I assume I should use a suitable glue to bond the fresh concrete to the old. 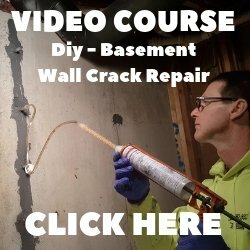 Will the concrete plug for a water tight seal? If not what should I use to seal the outside of the plug to prevent water penetration. The hole extends only about 12" below grade. A. You have to use a hydraulic cement like Water Plug to patch the hole in your foundation if it is below grade. Hydraulic cement will not shrink like regular concrete does.